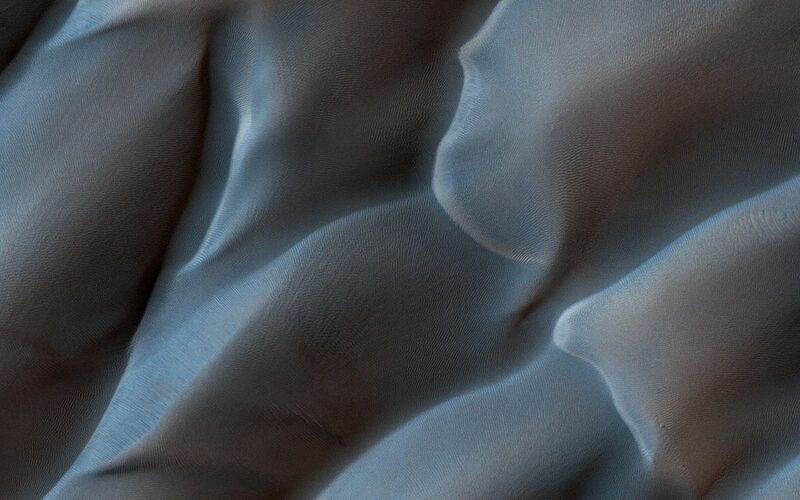 This image shows us a cross-section of a dune field. Dune shape depends on several factors, including the amount of sand present and the local wind directions. This dune field displays several distinct dune morphologies. We see both individual barchan-like dunes and more complex dune shapes. The dunes are arranged in a linear fashion at the northern extent of the field, first in areas with lots of sand, and then with relatively sand-free patches in between dune crests. 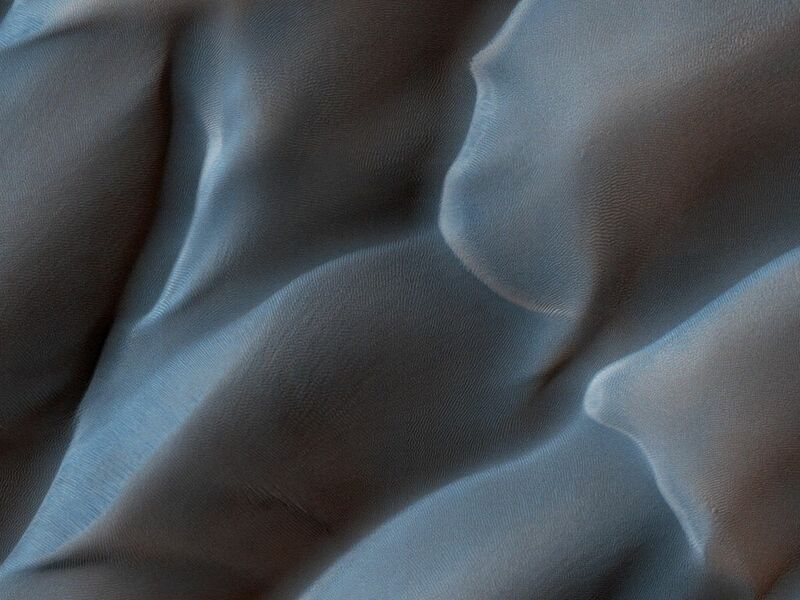 HiRISE has observed dune activity in other similar fields, but this is our first image over this group of dunes. 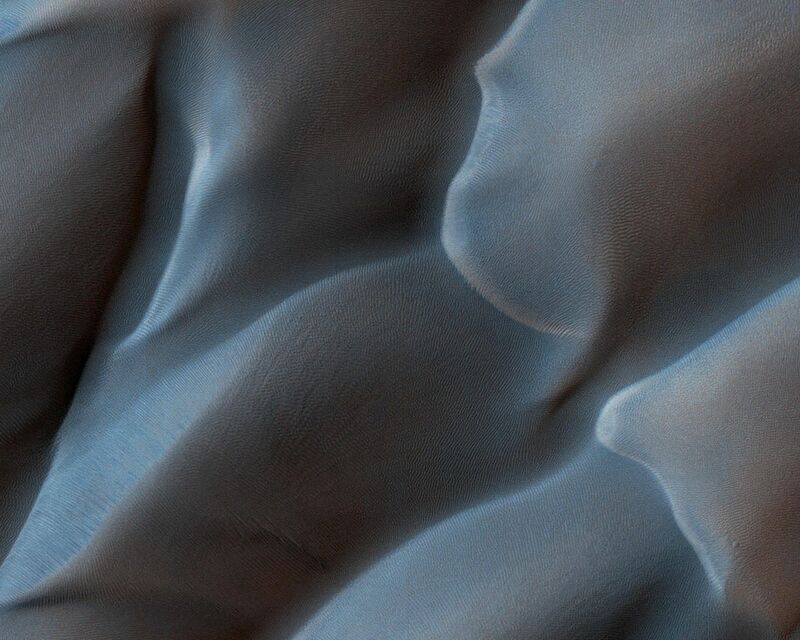 A second image is needed to determine if these dunes are also evolving and moving. The map is projected here at a scale of 50 centimeters (19.7 inches) per pixel. [The original image scale is 51.2 centimeters (20.2 inches) per pixel (with 2 x 2 binning); objects on the order of 154 centimeters (60.6 inches) across are resolved.] North is up.